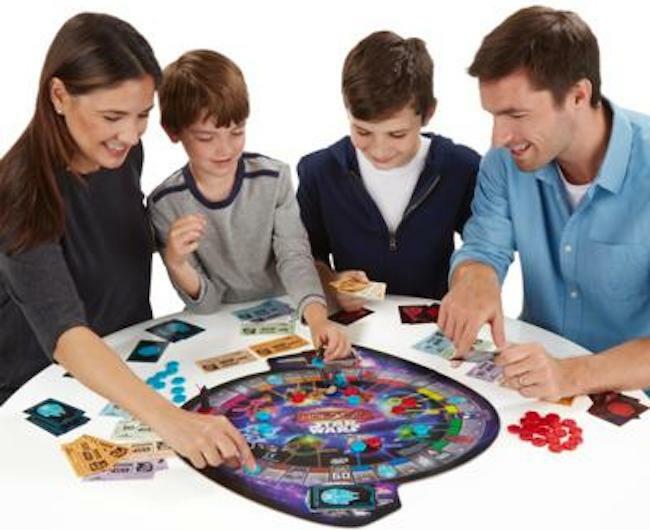 Hasbro thought to include at least one female in this product shot of Star Wars Monopoly, but not in the game. It’s not a good week for Hasbro’s long-running (and apparently inexhaustible) Monopoly franchise. First, the company has to explain why its new Star Wars-themed game leaves out the new film’s female lead character, and now comes news that Hasbro has decided that Iowa’s capital city is actually located hundreds of miles away in Ohio. The Monopoly Star Wars game includes four characters from the fictional galaxy far, far away: Two good guys and two bad guys. And we do mean “guys” — all four of the characters are dudes. No Leia from the original trilogy, no Padmé from the prequels, and no Rey from the new series. Um. I don’t think anyone watching even the very first trailers were of the mind that Rey was not going to be a Rebel. But given how mad some people were about the fact that early photos of Rey’s action figure showed her [spoiler alert #2… seriously, just go see the movie or stop reading stories about it] brandishing a lightsaber, maybe there’s something to keeping this rather obvious plot point a secret. While we don’t fully understand Hasbro’s decision to omit a buttkicking female character from its Monopoly game, we do understand that Des Moines is a city in Iowa… not Ohio. KCCI-TV in, where else, Des Moines reports that the Monopoly: Here & Now game describes the Iowa capital as full of “Fairs and farmers’ markets, miles of trails,” and even mentions the city’s world-famous cow sculpture made from butter. All of that seems reasonable enough, except for the part about Des Moines being located in a time zone (and around 600 miles) away in Ohio.